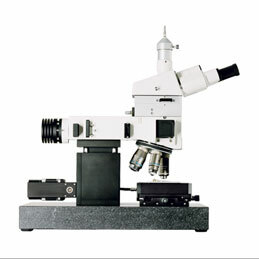 The confocal Raman microscope alpha300 R offers the unique ability to acquire chemical information non-destructively with a resolution down to the optical diffraction limit (~ 200 nm). This allows you to observe and analyze the distribution of different phases within a sample in ambient conditions without specialized sample preparation. Because of the confocal setup, it is not only possible to collect information from the sample surface, but also to look deep inside transparent samples and even obtain 3D information. A complete Raman spectrum is acquired at each image pixel, resulting in images consisting of tens of thousands of spectra. The acquisition time for one spectrum is only in the range of milliseconds, resulting in complete images being collected in a matter of minutes. When analyzing dedicated peak characteristics of the spectra, a variety of images can be generated using only a single set of data. This allows you not only to image the distribution of chemical compounds, but also to analyze, for example crystallinity or material stress properties. Further applications are typically found in polymer science, coating and thin film analysis, geoscience and in the pharmaceutical industry. A highly sophisticated and efficient combination of filters integrated within the microscope, together with the UHTS300 Raman spectroscopy system and the use ofthe most sensitive detectors, guarantee cutting-edge resolution and unrivaled sensitivity. In addition to the imaging capabilities, the system can also be used to collect Raman spectra at selected sample areas and along arbitrary lines or to acquire time series. Automated multi-area/multi-point Raman measurements on large samples are also possible using the award winning alpha500>>> or alpha700>>>.